The NYC Civic Innovation Lab and Fellowship is improving Community Boards civic engagement practices and their digital footprints. 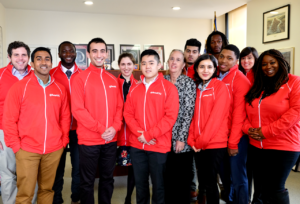 This program is in collaboration with Manhattan Borough President Gale A. Brewer, CUNY Service Corps, and Fund for the City of New York. 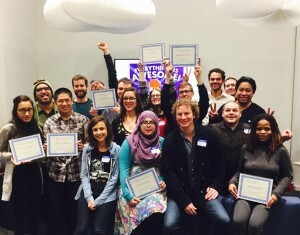 Read more about our NYC Civic Innovation Fellows Program. NYC’s BetaLab a digital services & consulting agency dedicated to building open technology, participatory government, and facilitating engaging civic events. We are available for contract work, please contact Noel Hidalgo (noel at beta dot nyc) for more information. 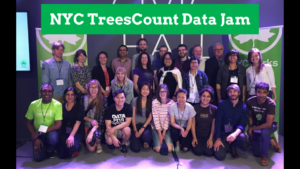 Our BetaLab has organized and hosted NYC TreesCount! Data Jam, NYC Planning Data Jam, and NYC 311 Data Jam. BetaNYC is a 501c3, not-for-profit corporation, and a member of Fund for the City of New York’s partners program. New York City School of Data is a community conference showcasing the City’s civic design, civic/government technology, and open data ecosystem. We seek to build a framework of relationships that can demystify data and technology, foster democracy, build cross-borough relationships, and mentor a new generation of civic leaders. For the weekend, we will celebrate two events; internationally, we will celebrate open data data; locally we will kick off the City’s open data week. Collectively, we showcase our projects, discuss our problems, and outline ways to improve. 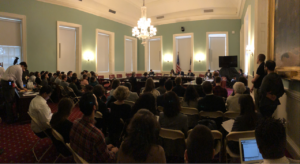 For the last four years, we have been working with various Administration Officials and City Council members to improve the City’s “source code” — we’re talking about the City’s charter, laws, rules, and daily record! You can read more about our advocacy wins via our blog. Read the People’s Roadmap, a collective vision for a 21st century New York City for the people, by the people. Through our partnership with Code for America, our community, aka the New York Brigade, we recruit individuals of all stripes to provide verified, skilled community service. Check out our events, community data portal, or our community discussion portal.